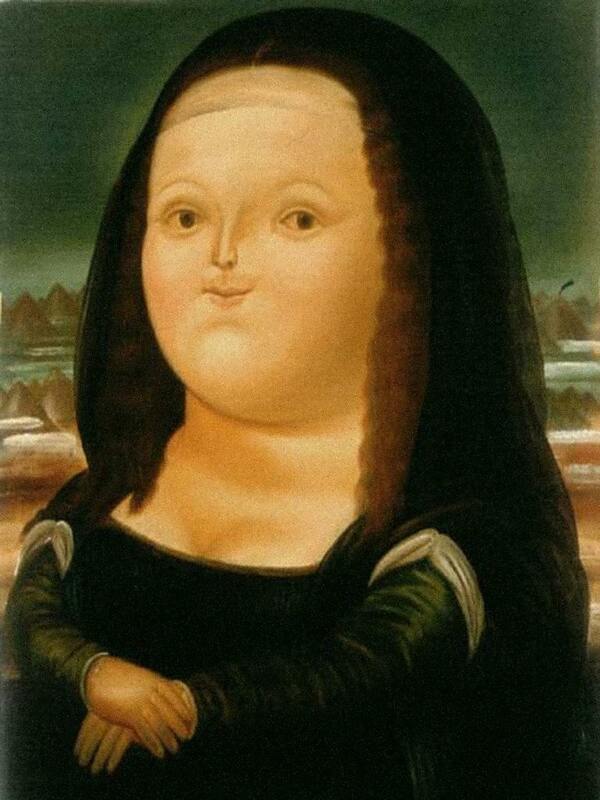 I like this painting because I like Fernando Botero. I've seen a lot of his work in my family's country of Colombia. He is from the city where my mother was born nad raised. All of his subjects are "inflated" and he has dipicted some of the most well known people. Including a reproduction of the mona lisa and the killing of pablo escobar among many others. he did not set out to paint the mona lisa but a young girl but when a housekeeper remarked that the girl remembled the omna lisa he added things and this was the final work.